Now that Kickstarter has become a permanent fixture of the independent film community, it can be difficult to sift through all of the deserving projects on offer, though the website does help with various search criteria (such as "Popular this Week" or "Staff Picks") and allowing the likes of indieWIRE and YouTube to curate pages of their favorite projects. To help you narrow it down even further, here are my picks for five films worth donating to this month. You may notice that a couple of the projects listed below have actually have actually had their festival premieres, which just highlights the fact that the need for investors, even micro-investors, doesn't end when shooting does! Fundraising can be such a challenge that many filmmakers move in stages, shooting when they get just enough money to go into production, say, then going back into heavy fundraising mode for the editing process, post production, festival travel, music rights, community outreach, what have you. So don't be thrown by films that already have some buzz going; just as donating in the early stages of pre-production can mean the difference between a project fizzling out or actually being brought into the world, donating in later stages could mean the difference between a film being seen by a select few on the festival circuit versus giving audiences around the world the opportunity to see it in theaters or on DVD, On Demand, and streaming online. Although the folks behind this project already reached their initial goal of $30,000, they were met with such wildly enthusiastic response that they are just about $10,000 and one week away from the much more ambitious new goal of $175,000. That just goes to show how the masses are clamoring for an in-depth look at this legendary filmmaker, artist, meditation enthusiast, and all-around beautiful weirdo. 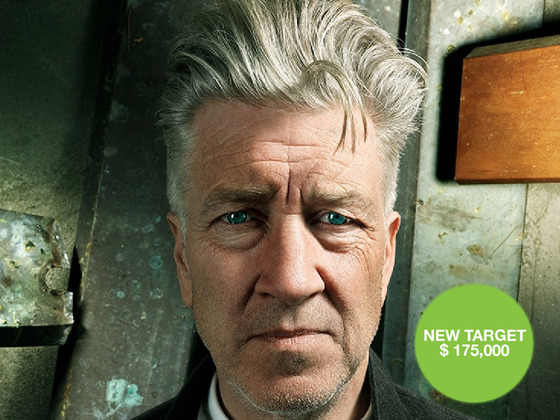 The large format poster of David Lynch's self-portrait (pictured above, comes with all pledges over $75, along with a digital download of the completed film, a digital photo portrait of Lynch, and onscreen and DVD credits) is an insane steal from a distinctive artist, particularly at this price. Films and television shows that provide a more complex and realistic depiction of female friendships, like 2011 smash hit Bridesmaids and the upcoming HBO series Girls, are cropping up more and more frequently. 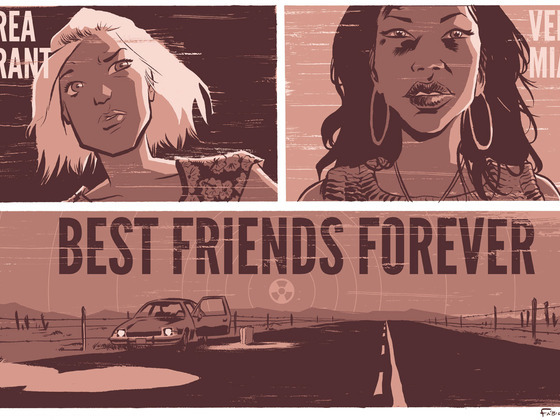 This indie feature has the added benefit of subverting the traditionally male-centric apocalyptic road movie by putting two tough ladies center stage, and it's shot on fabulous-looking Super 16mm to boot. The balance of artistic risk and on-trend demand makes investment in this project appealing. The cool, clean comic book artwork on the poster (which comes with all pledges over $50, along with website credit, early access to the trailer, and a signed copy of the two-disc DVD) was what caught me attention in the first place. 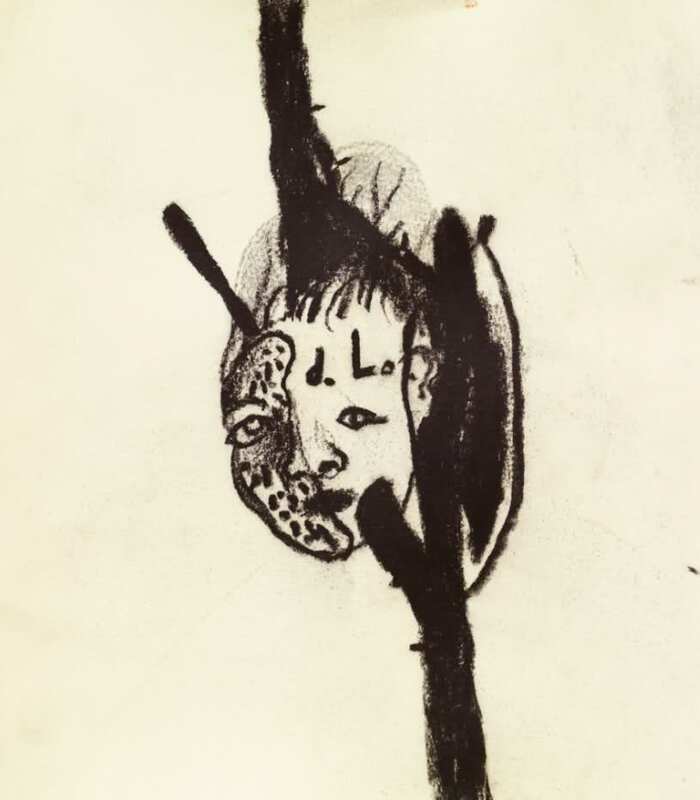 This magical documentary follows three brothers from the West Bank of New Orleans on a night of adventure in the French Quarter, capturing that transitional moment between wide-eyed childhood and the scarier consequences that attend becoming an adult. Although the film premiered at this year's South by Southwest to great critical praise, the filmmakers need to raise funds to clear the music, which is key to the spirit of this love letter to N'awlins. There is a reason the Ross brothers are hittin' the pavement to clear their music rights; the soundtrack (which comes with all pledges over $54, along with a digital download of the completed film, a special thanks in the credits, and a digital poster) is worth fighting for. 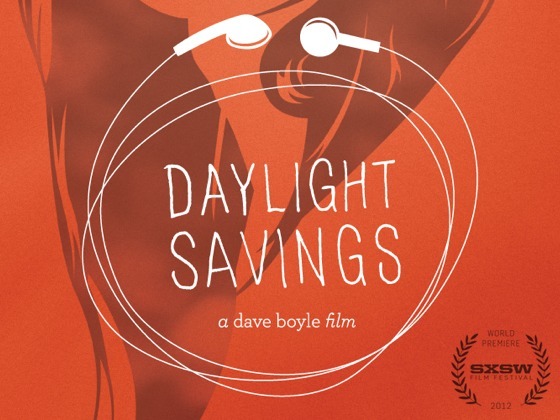 Also premiering at the South by Southwest Film Festival in March 2012, Daylight Savings is an unofficial sequel to the film Surrogate Valentine, and also stars musician Goh Nakamura. A deceptively low-key road trip movie that borrows heavily from Nakamura's real life, this film boasts elegant black-and-white cinematography and an unexpected emotional punch. The filmmaker is raising money to take the film on tour around the country. If you like this film, you'll like it's predecessor, making the combo prize of both DVDs (which comes with all pledges over $45, plus a digital download of Daylight Savings and the combined soundtrack: Music for the Motion Picture), a great deal. Like the documentary Ai Weiwei: Never Sorry, to be released by IFC Films in July, this film reveals the risks involved in the most basic practice of art, journalism, and social media in China due to the oppressive government and The Great Firewall. However, unlike the titular character in that film, these "citizen reporters" don't have the benefit of being wealthy, world-famous artists. The filmmaker is raising money to cover oh-so-important post-production costs like color correction, sound mixing, and subtitling, for the Tribeca Film Festival premiere this month.